Doug Stolipher with his son, Mark. They stand in front of their 9,000 gallon diesel fuel tank. Over the next year, tank owners began to grow frustrated with the regulations, and in the 2015 legislative session, lawmakers reevaluated the bill. Senate Bill 423 was approved on the final day of the session and made some considerable changes that take effect Friday. 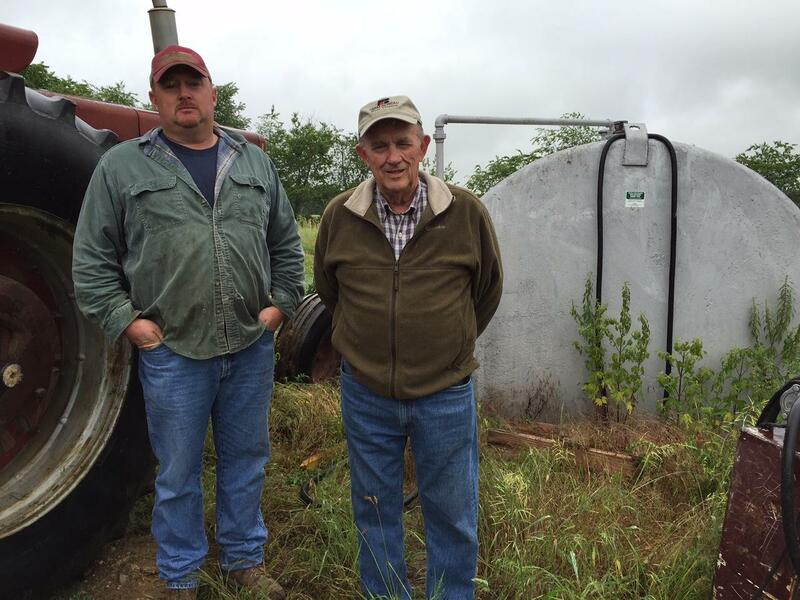 Doug Stolipher and his son, Mark are cattle farmers in Jefferson County. Mark was one of many farmers who were frustrated with the original tank bill. He says it heavily regulated farmers who were already under regulations with the Department of Agriculture. He owns a 9,000 gallon diesel fuel tank on his farm. Mark Stolipher's 9,000 gallon diesel fuel tank. Mark says it would’ve been cheaper for him to purchase those smaller tanks rather than pay the regulation fee to the DEP and have his 9,000 gallon tank inspected routinely. But at the same time, he says he still would’ve lost a lot of money because he wouldn’t be buying that fuel in bulk anymore. Senator John Unger, a Democrat from Berkeley County, oversaw the writing of the 2014 bill as the Chair of the Legislative Oversight Commission on Water Resources. This commission was created in response to the chemical spill. Unger says Senate Bill 423, the bill approved in 2015, amended and reworked the first bill so farmers using tanks for agricultural purposes would be exempt again. But he says other rules were placed in the new bill as well. Held 1,320 gallons or more of liquid. 90% or more above ground. 60 days at a fixed location. It was estimated to affect as many as 80,000 tanks used in a variety of industries and for a multitude of purposes. Under this law, all tanks were registered and all tanks were regulated. Now, that rule has changed. Scott Mandirola, the deputy cabinet secretary and director of the Division of Water and Waste Management with the DEP, says under the new law, there are two levels owners of tanks need to worry about. Everything else only needs to be registered on the DEP’s website. 5 hours upstream from a public drinking water intake. Holds 50,000 gallons or more of liquid. 10 hours upstream from a public drinking water intake. Senator Unger says he’s concerned the new legislation won’t protect everyone. “Now we have legislation that protects major metropolitan areas, but the vast majority of West Virginia, they don’t live in major metropolitan areas, they live in small rural communities, and the question is are they protected? All we’re doing is protecting the municipalities, the cities, and the towns. These smaller communities, that’s still on well water, they’re not being protected at all, and their water supplies is not being protected,” Unger said. Mark, the cattle farmer, says he’s happy the new bill exempts agriculture from the regulations, but he says he wishes things had been thought out better down in Charleston. 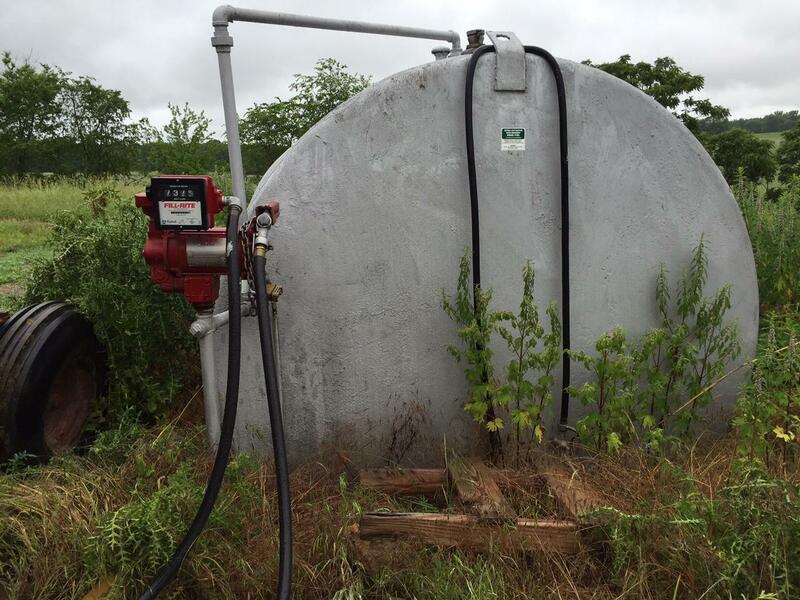 Senate Bill 423 goes into effect Friday, June 12, and all tanks must be registered with the DEP by July 1.